Attention Investors!!! Cheapest 3/1 by far!!! Property currently rented for $1,450 per month. Current NOI is $15,332 and is currently operating at a 10.23% cap. Buyer must take with tenant. 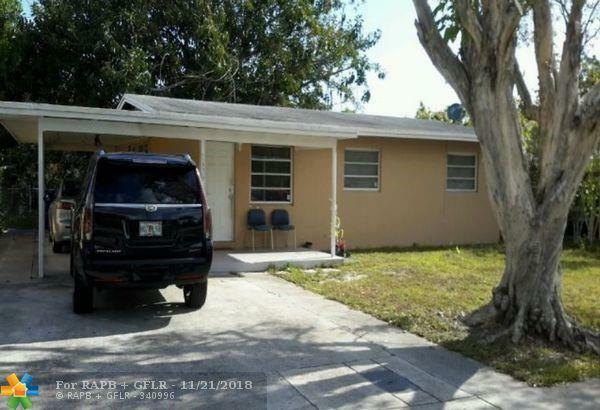 This can be purchased individually or as a portfolio of 4 other turn key rentals in Ft. Lauderdale. ML Numbers: F10149994, F10150327, F10151024. Seller looking to sell with current tenants. This listing is courtesy of Bank On It Realty.